AMMONNEWS - The Criminal Investigation Department (CID) personnel have arrested a man who robbed a jewelry store in southern Amman, a security source said Wednesday. The source said an owner of a jewelry store filed a complaint to the CID a few days ago saying he was robbed in a tricky manner when a man entered his shop and asked to watch gold bracelets valued at JD4000, but he stole them and ran away. 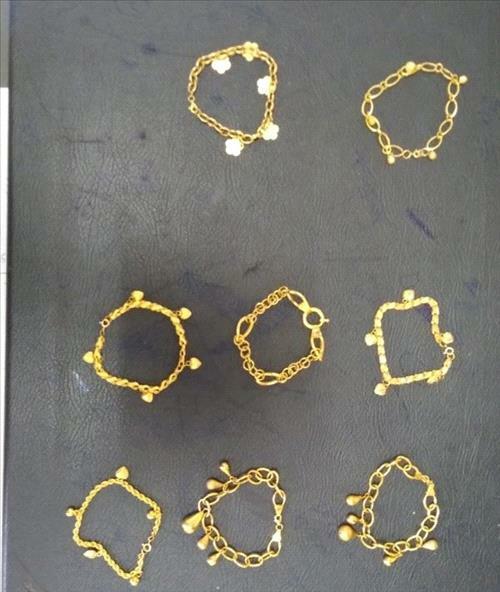 After investigating and collecting information on that person's identity and whereabouts, he was arrested, and automatic firearm and eight of the stolen gold bracelets in his possession were seized and investigations are still ongoing, the source concluded.